Petar is a PhD researcher in the MMRRC at the University of Limerick. 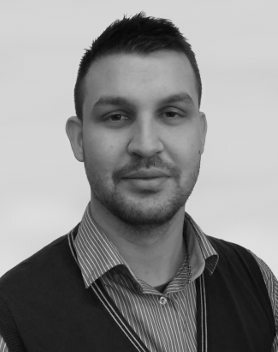 Petar received both his BSc and MSc degrees in Mechanical Engineering from the University of Zagreb and he is currently working on researching and development of advanced monitoring, control systems and on-board robotics for the automation of MRE inspection, repair and maintenance. Further information can be found on Petar’s UL Research Profile.